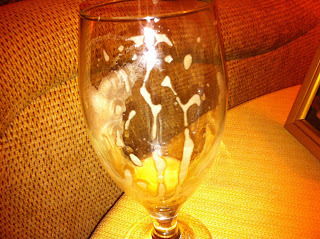 Left Hand is a great brewery. I don't know if you can say that it is the best Colorado craft brewery. But for my money it is right up there with Oskar Blues. And their Milk Stout is my favorite among their selections. Last week the Milk Stout Nitro bottles became available in Georgia. If you're not familiar with nitros, you're probably in the majority. Nitro beers (usually on tap, but in this case in the bottle!!) are infused with nitrogen to produce a freshness and smoothness to the experience. When you pop the cap you get an extra hiss! If you get a growler of nitro brew it needs to be consumed that day (oh the horror!!!) but will taste even fresher, creamier due to the fullness of the head. Last week I drank a LOT of pressurized Guiness cans and Murphy's Stout cans with Nama and Cord. The concept behind those is similar: produce an intense frothy head that compliments the stout's unique taste and drinkability. I grabbed a sixer of Milk Stout Nitro at Beverage Super Store Friday knowing it had been nearly a year since I've had their (for lack of a better word) regular Milk Stout. Nitro or not, understand that this is a great beer. If you like stouts, this one is creamy, smooth and milky sweet. The beer stats for the nitro are the same really as its predecessor. The difference is the head really. The bottle instructs you to pour heartily and you're rewarded with a foamy, sudsy head that lingers throughout as you drink it. You even get the same bubbly effervescence cascading on the side of the glass as you do from a Guinness two part pour. If you like sticky, sweet, lick the lactose off your lips goodness of a milk stout this one will not disappoint. 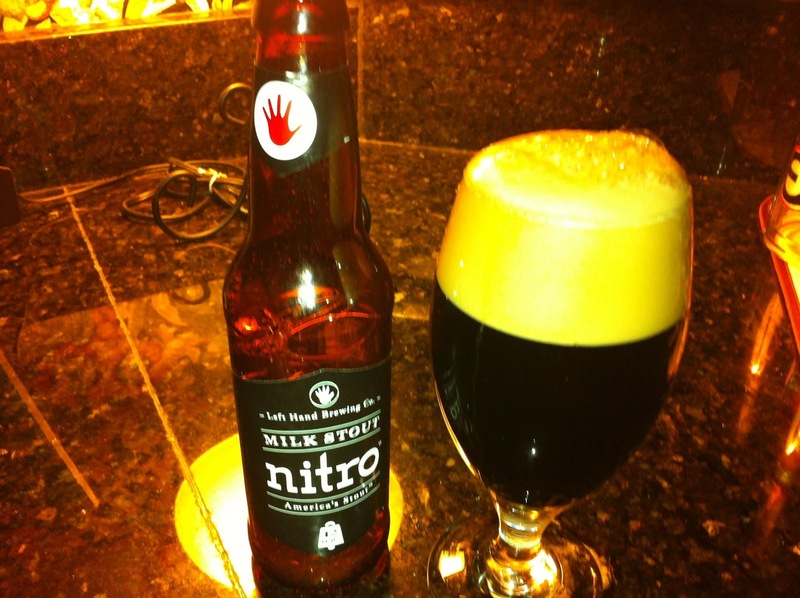 And if you want the nitro experience in a bottle, Left Hand has slowly released these across the country. And Atlanta is one of the lucky cities. Grab some and pour aggressively.